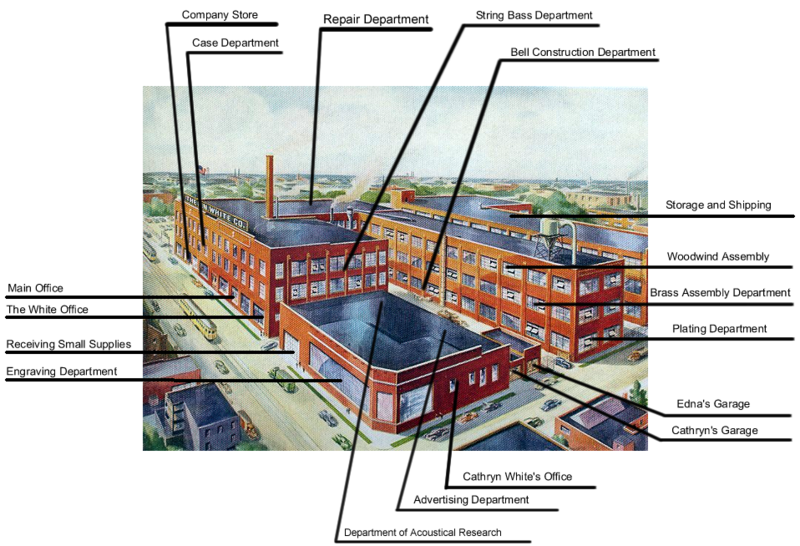 Click on each department to learn more about the best instrument factory in the world! To learn more about H. N. White craftsman go to the "People of Note" page. In 1893 the first location of The H. N. White Company was at 13 woodland Ave in Cleveland and was very small (very close to where the main Post Office is now in Cleveland). As with any growing business Mr. White soon ran out of space and in 1897 moved to 1870 East 9th Street, in the Erie Building. By 1909 Mr. White moved from the little workshop to 5225 superior Avenue in Cleveland, Ohio with 38,000 square feet of new work space. 1909 H. N. White Factory Picture. This picture is of the original 5225 Superior Avenue building in Cleveland. There was 38,000 square feet work space. 1919 H. N. White Factory Picture. Notice two large additions to the right of the main building. 1924 H. N. White Factory Picture. Third expansion is build off the end of the main building. Note: only two parts are three stories. One three story building was added. 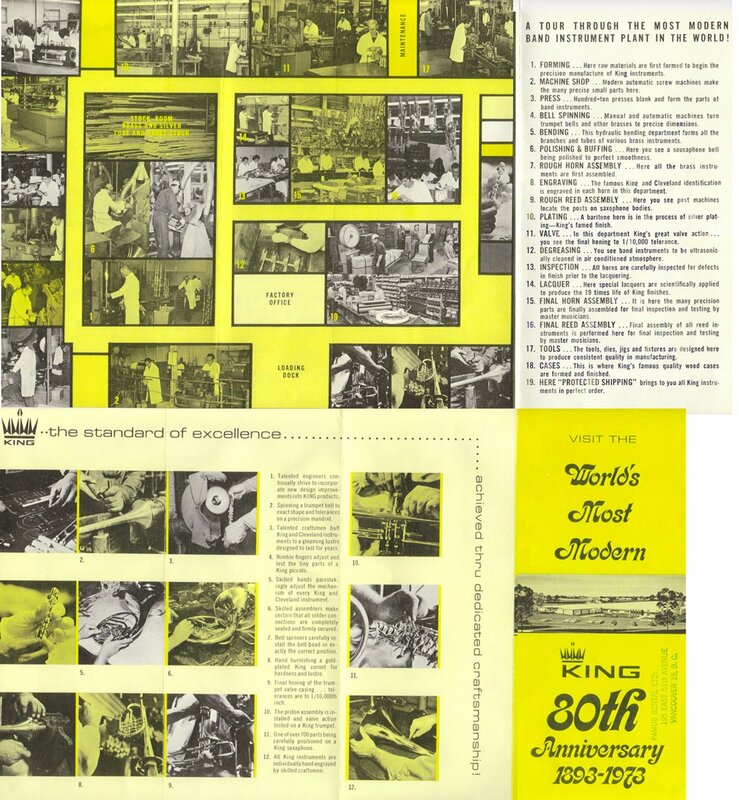 Special Thanks to: Mr. J. David Lang for the 1973 factory pictures.